The Amazer XL is a renowned name in the mass segment tyre arena. Famous for its manoeuvrability, stability and reliability, the tyre also underscores the longevity aspect. With its optimised tyre construction it offers standard ride and handling under any weather condition. The Amazer XL receives reinforced tyre construction and high structural durability for long tread life. 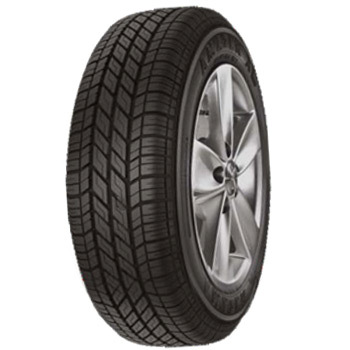 The high on fuel efficiency tyre, available in tube type and tubeless nature is very well suited for hatchbacks, entry level sedans, and people mover MPVs. Due to its unique tread pattern it supplies excellent grip on dry surface and remains surefooted in waterlogged streets and wet weather conditions. The radial tyres comes in varied rim sizes and different speed ratings as per needs. The Amazer XL is one of the first and longest running tyre models, since 2000, in the Amazer series. The very dependable and popular tyre is known for high durability and affordable price tag. Reinforced tyre construction and high wear resistant compound supports long lifespan of tyre. With visual alignment indicator any uneven or misalignment wear can be examined. The unique tread pattern ensures better grip over the surface under wet and dry weather conditions. The high on fuel mileage tyre gets radial construction and ensures superior handling. Amazer XL gets strong belts and stabilised tread pattern for uniform wear and longevity. It is made available in choices of tube type and tubeless nature. The reliable tyre covers almost all the rim sizes of the mass segment passenger cars and SUVs / MPVs in the country.